If you like to dance while listening to music or move around a lot during calls, you need to get yourself a Bluetooth headset or Bluetooth earphones. These headphones work by connecting it to your mobile phone or electronic device using Bluetooth which helps you not to be tied down by a wire. 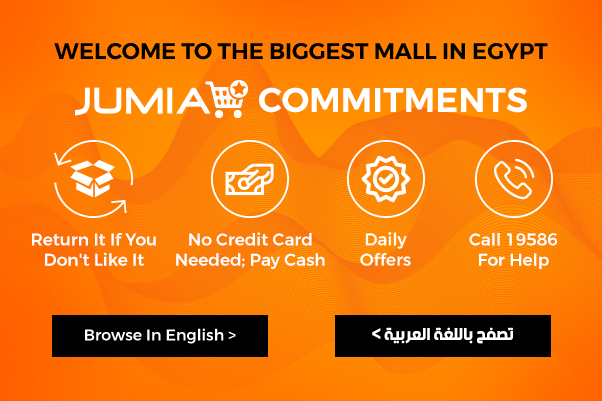 At Jumia Egypt, you find an entire collection of wireless earphones from some of the best brands worldwide which include Beats wireless earphones, iPhone wireless headphones and Skullcandy wireless earphones. A wireless headset comes with a built-in mic which is useful when making calls or even recording something on your device. You can even find certain headphones which come with a USB plug-in if you want to connect it to a laptop, for example, that doesn’t have Bluetooth. All this and more is found at Jumia Egypt at low and affordable prices and in a variation of colors, sizes and releases. If you choose to shop for a brand new headset from our collection, you can find amazing features such as noise cancelling headphones or a gaming headset. Whatever wireless headphones you might be looking for, rest assured that we have it for you at Jumia Egypt. Shop today and enjoy the fastest delivery in Egypt and free returns.